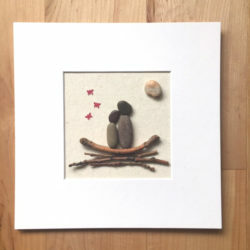 Experience the joy from creating a totally personalized shadow box, featuring earthy and organic elements by creating pebble art. Create your own beautiful image with the clean simplicity of pebbles. 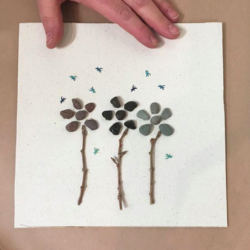 You can make a one-of-a-kind project featuring your own pebble family or you can construct your own nature scene with pebble birds and flowers. Everything is included and you will walk away with a shadow box showcasing your own beautiful masterpiece of pebble art, ready to hang. Please feel free to bring your own special shell or rock to add to your piece. Please arrive a few minutes early to grab your drink (wine, coffee, tea or other). 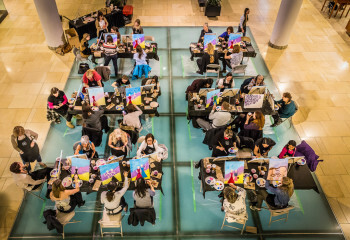 Your Vin Gogh instructor will guide you seamlessly through the pebble-people project to ensure that you leave with a beautiful shadow box, ready to hang! 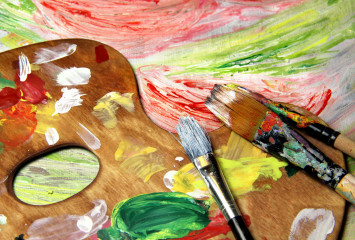 This event is offered both as an all-ages and adult only event. Prices include your drink, pebble supplies and shadow box. Check the Calendar to register for the next session!